« Older: It’s a blowout: Tigersharks beat the Corozal Heats 79-54!! The competition is getting tougher and tougher as the San Pedro Sports Committee Football Tournament progresses. On Saturday, February 22nd and Sunday, February 23rd, the third set of games was played at the SacaChispas Football Field and all the teams were out for a win. Football fans were treated to exhilarating matches, as most games either ended in a tie or a close win. Saturday’s games were all about strong defense. The first game was between Caye Caulker and Communicaciones. 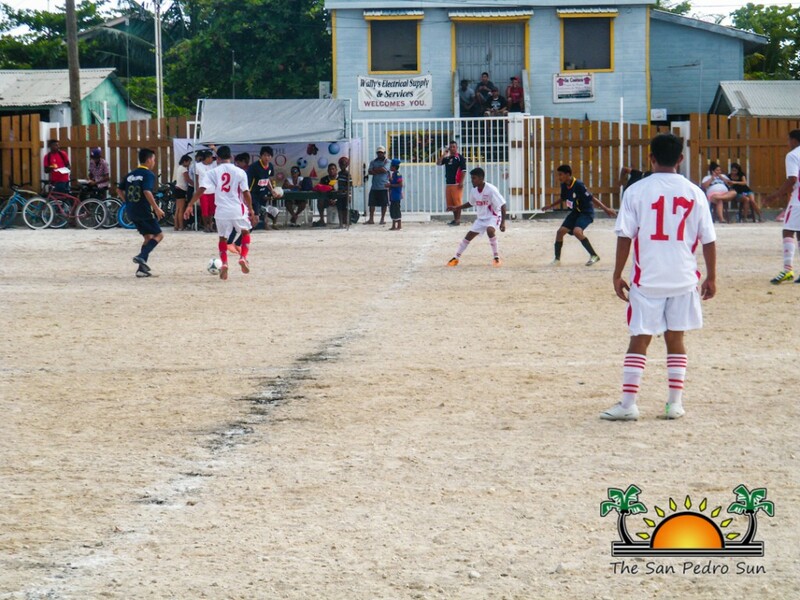 It was clear that both teams wanted the win, but in the end it was Caye Caulker who edged out a 4-2 point win. The second game was between the Dorados and Caribbean Depot. Even though Caribbean Depot played defensively, the Dorados still managed to sneak in a couple goals and won the match in a 2-0 point game. The strong defense continued on Sunday, as eight teams faced off in the field. In the first match,FC United took on Costa Blu, both teams struggled for the win but the game ended in a 2-2 tie. Trying to avoid the same fate were Joker FC and Island Pure, but even they had to concede to a 0-0 tie as well.However, goals were scored in the third game when the Veterans defeated San Juan in a 2-0 point game.The final game of the day was between UH Ballers and the Warriors. This was the UH Ballers’ first match and they certainly proved their might, defeating the Warriors in a 4-2 point game. All in all, it was an exciting weekend of football. The San Pedro Sports Committee invites everyone to come out and support their favorite team. Schedule for the next set of games will be later announced.